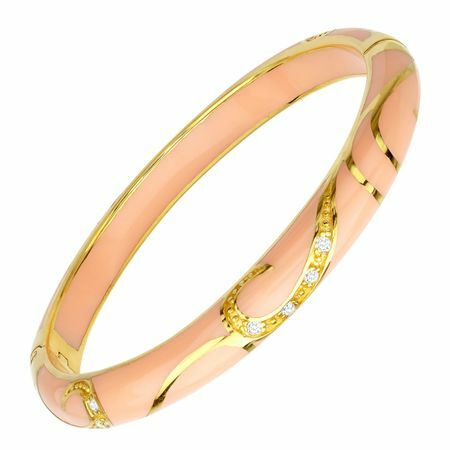 Adorned with gold and sparkling stones this bangle bracelet is a knockout, stylish piece. Bold sweeping flourishes flecked with twinkling cubic zirconia highlight a striking peach gem-quality resin background set in gleaming 14K gold over sterling silver. Piece measures 7 inches in circumference.